In 1976 PJ Wright & Associates Pty Ltd. commenced as ‘hydraulic services’ design and public health consultants. Since formation, the Company has been involved in the design, documentation, administration, and consultation on all aspects of hydraulic and public health design services for projects throughout Australia & Overseas. Our projects have included commercial, industrial, residential and institutional developments to aged care facilities and hospitals. The expertise gained over many years provides a comprehensive consultancy service that encompasses all facets of contemporary hydraulic design systems. In addition to government instrumentalities, PJWA has also built up an extensive private sector client base. PJ Wright & Associates Pty. Ltd. has worked with many large architectural practices on a variety of projects. Some of these projects, including the Midvale Velodrome, IFAP Rous Head Emergency Training Centre have won awards for innovative and efficient designs. The underlying principle governing PJ Wright & Associates Pty. Ltd. approach is that of providing a design consultancy service to the highest standard, that is fully in accordance with the project brief, and, statutory regulations and standards. In achieving this goal PJ Wright & Associates Pty. Ltd. is fully cognisant of all aspects of the industry, from new design concepts, product and technology advancements, budget and cost control and, quality control. In order to meet client budgets, PJ Wright & Associates Pty. 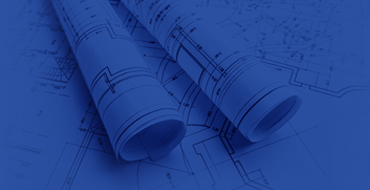 Ltd. fully recognises the importance of scrutinising the development of contract documents ensuring that there are no design variations, which may increase costs. Foremost for PJ Wright & Associates Pty. Ltd. is our commitment to the client. We ensure that our client is satisfied with the overall project in regard to performance, ease of operation, and maintenance of the systems designed. PJ Wright & Associates Pty Ltd. was one of the first Corporate Members of the Association of Hydraulic Services Consultants of Australia: Western Australian Chapter (AHSCA WA). We strictly adhere to the administrative and professional practices required by the Association. All senior design staff and design consultants are required to be members of the Association and subject to the rules and codes of the chapter. PJ Wright & Associates Pty Ltd. undertakes stringent quality control and management procedures throughout the contractual, design, documentation, consultation and administration stages of any project. To this end, PJ Wright & Associates Pty. Ltd. has developed and implemented its own ‘Quality Control Procedures Manual’, which outlines the protocols and procedures that must be adhered to by management and staff. The Manual has been structured in order to facilitate the incorporation of procedures that can be tailored to a specific client or project. The control system in place in PJ Wright & Associates ensures that senior design consultants and management approve all aspects of the consultancy services prior to issue ensuring no unauthorised issuing of documents occurs.